Most Annoying thing that a Pc Gamer Experience is error Encounter while starting game , there are hundreds of error which can occurs depending on bad game File , Not fulfillment of minimum System requirement for game etc . Out of those error Xinput1_3.dll error is O of the Common error which occurs while Starting Game . But do you know why Xinput1_3.dll error occurs while Ruining High end PC games or during Starting of some Software programs ? Actually some game Require Latest Direct X for which you need to upgrade your operating system like for Direct X9c you require window Xp ,and for Direct 10 you require window 7 while For Direct X11 you require Window 8 . The Direct X version varies according Operating system which require API for handling tasks related to multimedia since Xinput1_3.dll is one of the file Packed in the Bundle of the Direct X . So, to run Xinput1_3.dll error free Program in your computer you need to Install latest Direct X .However If you encounter Xinput1_3.dll error then for sure your Direct X is outdated and you need to Upgrade your Direct X . That's why all game must be installed with latest Direct X according to the Minimum System Requirement for particular game . The file Xinput1_3.dll is missing .Try reinstalling the Program to fix this Problem . Xinput1_3.dll file not found . 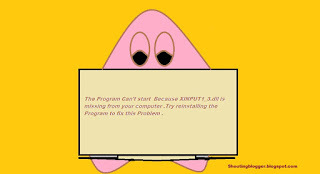 Try reinstalling the Program to fix this Problem . Xinput1_3.dll is missing from your computer .Try reinstalling the Program to fix this Problem . 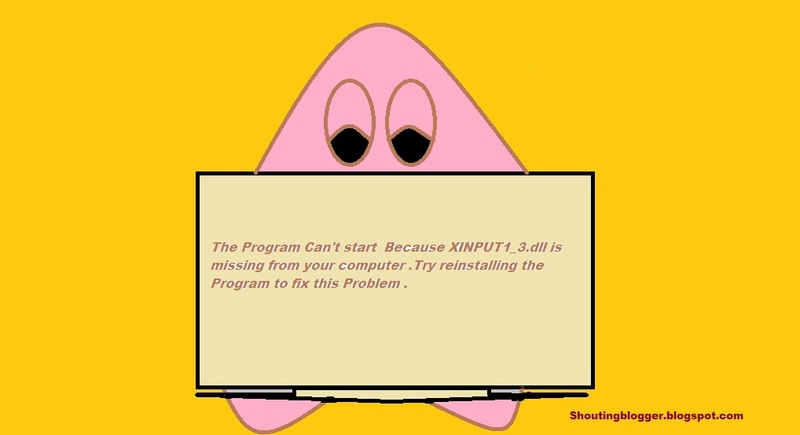 The Program Can't start Because XINPUT1_3.dll is missing from your computer .Try reinstalling the Program to fix this Problem . Step 1 : Go to Www.microsoft.com and Download Direct X 11.1 or Direct X 11 (For Xp download Directx9.0c ) . ( Download Direct X for window 8 ). Step 2 : Close all the open Program and install Direct X 11.1 or Direct X 11 . Step 3 : Now , Once your installation is Completed then you must Restart your Computer . Note : Do not just Download and Install only xinput1_3.dll in your pc . it breaks up your Direct x Connectivity Sice xinput1_3.dll file are different for different direct X .Instead you should download whole Direct x form the Microsoft Website .